Highway 101 north to Petaluma. Exit west on Washington street. Turn right on Petaluma Hill Blvd. Left on Magnolia. 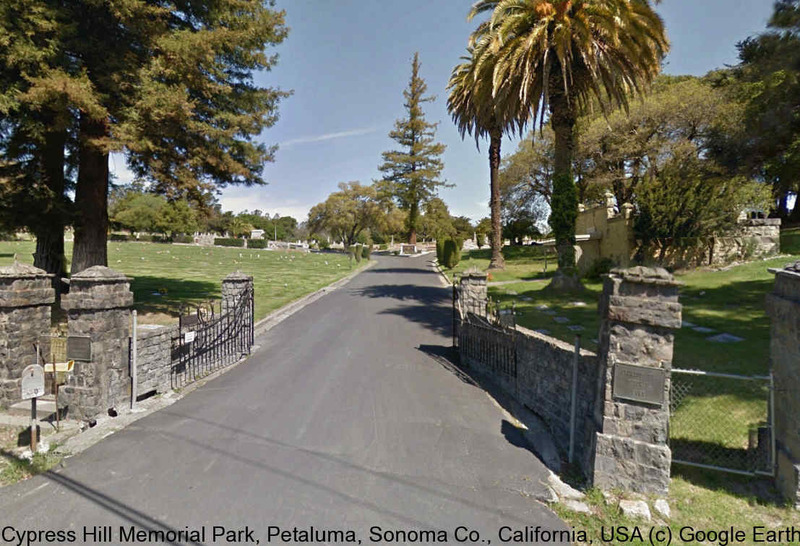 There is a fee charged by the cemetery for burial lookups.